It's easy to forget to take time for yourself. If you're feeling overwhelmed or run-down try some of the following tips to help bring balance and happiness to your life! Pick one small thing that you need to do and get it done. Fix a small annoyance at home that’s been nagging you—a button lost, a drawer that’s stuck, a light bulb that’s gone. There's nothing better than checking something off of your mental to-do list. Goof around for a bit. Schedule in 5-10 minutes of "play” a several times each week. Fly a kite, swing on a swing set, play in the sandbox, have a dance party. Plan a two-day holiday for your next free weekend. Tell people you’ll be away, turn off your phone, no social media updates, and then find a place you can relax and enjoy some time away. Get out of your comfort zone by choosing to do something different today. Take a different way home, call a friend you haven’t talked to recently, or try something new for dinner. Shake up your routine and see what happens! Make one small change to your diet for the week. Eat an extra portion of veggies, drink less coffee, or drink an extra glass of water each day. One of the easiest ways to relax and take some time for yourself. Don't have time to go get a massage, create a spa at home. Take a long bath with soothing music and candles, relax with a facial mask, sit around in your bathrobe and read a book or binge your favorite show. Prepare a meal, no matter how simple. ​Buy fresh ingredients and make yourself a meal, then roll out a blanket and eat your dinner on the grass at home or in the park. You could invite friends to join if you want. Rearrange your furniture and try something different in your living space. If you don't like it, rearrange it again until you . Take a moment at the end of each day and consciously list a few good things in your life. This can help refocus your emotions on all the positive things that happen each day, even when it doesn’t seem like it. Write a review of a business you like. Send that positive energy into the universe and share some love for your favorite local places! Do something you used to like to do, whether or not you were or are “good at it.” Remind yourself that you can do something just because you enjoy it, and the only way most people get better at something is practice. Watch a couple episodes of a comedy show you love, or search the internet for the best cat.gifs, anything that makes you smile and giggle. Just be sure to have an exit strategy so you don’t get sucked in for too long and feel guilty for it. The history behind massage therapy is full of countless surprises and interesting characters. ​Below is a list of seven people who made major contributions to the world of massage therapy. Portions of the twelfth-century Latin translation of Avicenna's medical encyclopedia. Avicenna was a Persian polymath during the Islamic Golden Age. Often described as the father of early modern medicine, he was a devout follower of Aristotle and the chief physician at the Baghdad hospital. Avicenna authored the Canon Medicinae, a five-volume medical encyclopedia, in an attempt to collect all known medical knowledge. The medical text includes sections on techniques and effects of massage. or thickens; another is gentle, which loosens. One is prolonged, which causes thinness; another is moderate, which fattens. When these are combined, corresponding results will be produced......Then there is a friction of restoration, which comes after exercise and is called rest-inducing friction.... This friction must be done smoothly and gently." De Medicina was a 1st century medical encyclopedia written by Aulus Cornelius Celsus, a Roman encyclopedist. It includes information on diet, pharmacy, surgery and massage. Book III includes information on treating disease with many references to anointing hands with oil and rubbing the patient. It is considered one of the best sources of medical knowledge in the Roman world. Celsus created a therapeutic system called "Apotheraphia" which consisted of bathing, exercise and friction. Treating a fever: "The said parts are also to be rubbed by hands anointed with cold olive oil, to which has been added one of the heating agents. And some practitioners are satisfied with one rubbing of any kind of oil. " Guy de Chauliac was the most eminent French surgeon of the 14th century. He was the personal physician to three popes and wrote a treatise titled Chirurgia Magna, which became the standard text on surgery for the next two centuries. The treatise covered all basic aspects of surgery including anesthesia, blood clotting, surgical tools, diets, and bodywork as a compliment to surgery. Alpini was the son of a physician born in the state of Venice in 1553. He attended Padua and received doctor's degree in 1578. In 1580 he received an appointment to attend the Venetian Consul to Egypt, where he remained for three years. He devoted himself to the study of plants and the medical practices of the Egyptians. In his De Medicina Aegyptiorum, he states that frictions are so extensively used among the Egyptians that no one retires from a bath without being rubbed. "For this purpose the person is extended horizontally, then he is malaxated, manipulated, or kneaded and pressed in divers manners upon the various parts of the body with the hands of the operator....Perfectly masseed, one feels completely regenerated, a feeling of extreme comfort pervades the whole system, the chest expands, and we breathe with pleasure." 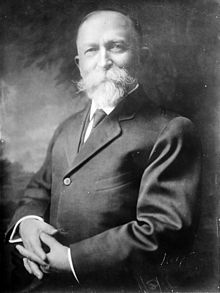 John Harvey Kellogg was an American medical doctor, nutritionist, inventor, health activist, businessman, and creator of Corn Flakes cereal. He was the superintendent and surgeon at the Battle Creek Sanitarium where he used hydrotherapy and massage in treatments for his patients. In 1885 he wrote 'The Art of Massage', a book so influential that it was still used in the curriculum at the Ohio School of Massage in the year 2000. Kellogg supported the idea that massage can help stimulate muscles to prevent their degradation. He explored the effects of massage on the body and paid special attention to the benefits of massage, such as fighting off certain illnesses. Kellogg listed detailed rules that massage therapists should follow; not massaging anyone while sick, making sure that they look professional and clean, and giving the massage in a room of a certain temperature range (75-85˚ F). ​Here are 10 tried and true ways to manage your stress and put you on the path to a healthy and balanced life! 1. Create an evening routine that you can look forward to. Having a predictable routine can bring comfort and grounding when life is stressful. You could include stretches or Yoga, listening to calming music, journaling, or warm tea. Experiment with different evening routines to find what works for you. Make a commitment to do some sort of routine every night for one week and see how you feel. Don't like how your bedroom looks? Do you look forward to going to bed? Change up your bedroom to make it feel more warm and inviting. Try to limit excess noise and light. Lighting can be important, you should avoid bright overhead light and instead use lamps. Add extra pillows and blankets or add LED candles. Find what creates an inviting retreat and makes you excited for bedtime. Now that you've changed up your bedroom you can make sure you're getting enough ZZZ's. Missing out on shut-eye not only makes you groggy and cranky, it can lead to weight gain, heart disease, reduced libido and diabetes. One study found that nightly screen-time is associated with poor sleep. If you're having problems sleeping, remove all screens from your bedroom. Try out a bedtime routine that focuses on unwinding and calming your mind. Even if you just take a quick cat nap during your lunch break, make sure to prioritize sleep for a happier, healthier you. 4. Boost breathing techniques with the right scent. Most people know the benefits of breathing techniques. Add your favorite essential oil to enhance the benefits. Lavendar is good for relaxation, orange blossom can help with anxiety and rosemary may boost memory. Swearing can reduce physical pain, boost confidence and self-esteem. Mythbusters found that swearing aloud can increase your tolerance to pain. If you're having a bad day or stubbed your toe, try dropping a few f-bombs and see how much better you feel! Decluttering your home and office can have many benefits on not just mental but also physical well-being. A recent study showed that people will eat more cookies and snacks if they are in a chaotic and messy environment. Another study found that a disorganized environment can have a negative impact on your ability to focus and process information. A clutter-free home and office allows you to perform tasks more efficiently because everything you need is readily available. Clutter leads to anxiety, embarrassment, and family stresses, when you clean up and learn to throw things away, you will feel happier and less stressed. What hobby brings you happiness? What did you love doing as a child? Maybe there's something you've always wanted to do, like learn to play the piano or beekeeping, but never got around to. Finding a hobby you enjoy is not only relaxing but reduces stress and helps you recharge for future challenges. ​This one takes some practice but is worth the work. If you recognize that your way of thinking is self-defeating, you can learn to look at things from a different perspective. By changing how you think, you can over come all the craziness that life throws at you. Over time, you'll be able to catch the self-defeating thoughts before they grow and contribute to your stress. Living in Colorado gives us ample opportunity to get outside. Numerous studies have found that simply sitting and looking at trees can reduce blood pressure and the stress-related hormones cortisol and adrenaline. Spending time in nature can improve attention span and boost serotonin, the feel good neurotransmitter. Take 10 minutes a day, get off the couch and go outside. 10. Build a self-care kit. Favorite tea or beverage, bath salts, new nail polish, scented lotions, essential oil blends, your favorite candy, or a new pair of warm socks. It's important to exfoliate your body regularly! Using a body scrub once a week will leave your skin soft and smooth. A body scrub has larger exfoliating particles than a facial scrub, and can be made with many household ingredients. Carrier oils are pressed from the fatty portions of seeds, nuts and kernels. ​Carrier oils do not have a strong scent and are so named because they "carry" essential oils to the skin. Note: ​Be cautious when using any products with oil, they can make the tub and shower very slippery. It's best to have a textured bath mat. ​​Mix all ingredients and store in a glass jar for up to a month. Rub on skin while in the shower, massage, and rinse. Mix all ingredients and store in a glass jar for up to a month. Rub on skin while in the shower, massage, and rinse. ​Mix all ingredients and store in a glass jar for up to a month. Rub on skin while in the shower, massage, and rinse. There are many different types of massage therapy and it seems like there's a new modality every month. Choosing a style of massage that benefits you can be confusing if you're not sure what it involves. Here are some of the most popular types of massage. Most massage textbooks written in the last 100 years credit Per Henrik Ling, who developed the Swedish Movement Cure, as the founder of Swedish massage. Although Ling deserves a great deal of credit for the techniques he developed, Dutch practitioner Johan Georg Mezger (1838-1909) is generally considered the “father” of Swedish Massage. Mezger was the first to adopt the French names for the basic strokes but more importantly he standardized Swedish massage as we know it today. ​​It may seem strange for a man from Holland to choose French words, but the French words massage, masseuse, and masseur were already becoming popular across Europe. The term "Swedish" massage is only recognized in English and Dutch speaking countries and Hungary. Sweden and the rest of Europe call it Classic massage. Deep tissue techniques were first developed by Canadian physicians in the mid-1800's. These techniques addressed specific problems like whiplash. In 1949, Canadian doctor Therese Phimmer established guidelines for deep tissue massage in her book "Muscles - Your Invisible Bonds." Phimmer used deep tissue massage to reverse her leg paralysis. These techniques were slowly integrated into sports medicine and physical therapy. Deep tissue massage uses deeper pressure and slower strokes. Focusing on the deeper layers of muscles and connective tissues, a combination of friction and pressure are used to break up scar tissue and adhesions that cause inflammation, pain, and reduced range of motion. The pressure will be more intense but should never exceed your pain tolerance. Deep tissue is generally integrated with other massage techniques and best for chronic pain and injuries. Dr. Travell co-authored the two volume book "Myofascial Pain and Dysfunction: The Trigger Point Manual" with colleague David Simons, also nicknamed the "red bible." Trigger points only form in muscles and usually lead to pain, tenderness and stiffness. They can cause pain in other parts of the body, called referral pain. There are varied causes which can include chronic muscle overuse, trauma to the region, or accidents (i.e. car crash, ski accident). Trigger point therapy focuses on compressing the trigger points, releasing the constricted muscle and alleviating pain. Stones have been used for thousands of years in many different cultures. The Ancient Chinese medical practitioners used heated stones to improve the function of internal organs. Native Americans placed warmed stones on the lower abdomen of women to relieve cramps. Hawaiians used heated lava stones to increase circulation. Heated stones were used in Ancient Egypt and Ayurvedic medicine. The use of hot stones in massage was reintroduced by Mary Nelson in 1993. She accidently discovered the benefits while using heated stones to massage her niece when they were in a sauna. She created her own massage technique called LaStone Therapy. Most therapists use smooth basalt stones, the high iron content helps the stones retain their heat. The heat is deeply relaxing ad helps to warm tense and tight muscles allowing for deeper work. A relatively new massage technique in the Western world, the use of bamboo canes in massage have been in use for many centuries in Southeast Asia. The most common story is that a therapist saw one monkey rubbing another's back with a bamboo stick. Nathalie Cecilia is credited with making bamboo massage popular in the United States. She started to use warm bamboo canes when her hands and wrists started to hurt while performing deep tissue work. She realized that the bamboo canes gave her more stamina and strength to apply deeper pressure. The canes are used in a rolling or kneading motion to release tension and trigger points. Varying lengths and diameters are used, the longer canes are used for sliding or kneading strokes while the shorter canes are used for working on trigger points and muscle adhesions. Dating back more than 2,500 years, Thai massage is thought to have been developed by Buddhist monks. ​It combines elements of Chinese acupressure, Ayeurvedic medicine, and Hatha yoga, but has evolved into an entirely unique system. A Thai massage uses gently passive stretching while applying rhythmic pressure along the body's energy lines. Usually performed on a mat, this allows the therapist to get the leverage necessary for the stretches and postures used in Thai massage. There are many benefits to Thai massage including reducing anxiety, boosting energy, strengthening the immune system, and relieving pain. Referred to as structural integration, Dr. Ida Rolf created this form of deep tissue massage. Dr. Rolf designed a system to relieve patterns of physical misalignment by deeply manipulating and re-organizing connective tissue and fascia. Dr. Rolf received her Ph.D. in biochemistry. She becaug to study systems that focused on the effect of structure on function, including osteopathy, chiropractics and yoga. She combined her extensive research and scientific knowledge to develop the Rolfing system. The goal of the series of sessions is to reset the alignment patterns in the body, improve posture and movement and reduce stress and tension. "Ashi" means foot and "atsu" means pressure. Dating back over 3,000 years, it has evolved through the cultures of China, India, Tibet, Thailand, and Japan. Ah-Shiatsu focuses on the whole body and balancing the body's vital energy, "Chi". The therapist uses their bare feet to massage the body, using overhead rails to control pressure and depth. Working with gravity, the therapist is able to provide a very deep therapeutic massage without causing pain or discomfort. When you're sick, you want the best, most advanced treatment available. Sometimes, those procedures are thousands of years old! Here's a look at some ancient medical practices still used today! Bloodletting is considered one of the oldest medical procedures. Thought to have originated in either ancient Egypt or Sumeria, it spread to Greece and Rome before moving to India and the Arab world were the practice flourished. Ancient physicians like Hippocrates and Galen believed that all illness stemmed from an overabundance of blood. While this practice could result in accidental death due to blood loss, bloodletting was a common medical practice well into the 19th century. Bloodletting is still used today, although now it's called therapeutic phlebotomy. It's primarily used in the treatment for conditions that cause an excess accumulation of iron in the body, such as hemochromatosis, porphyrias, and polycythemia. Bee venom therapy or Apitherapy, was used medicinally in the ancient civilizations of China, India, Egypt, Babylon, and Greece. Hippocrates used pulverized bees and bee stings to treat arthritis and other joint problems. Hungarian physician Bodog Beck coined the term "bee venom therapy" and a beekeeper from Vermont, Charles Mrazis is credited with the recent popularity in Apitherapy. Promoted as having a range of health benefits, including treating multiple sclerosis, arthritis, fatigue, and gout. There is conflicting scientific evidence as to the effectiveness of bee venom therapy. Cauterization can be traced back to the Hippocratic Corpus in the 5th century. Early physicians would use a hot metallic instrument to burn tissue, either to remove a part of the body or to close off a wound. Cauterization was used to stop bleeding and infection or to remove cancerous tumors. Although this treatment will stop the bleeding, it also increased the patients risk of infection. Physicians today use two different types of cauterization; Chemical cauterization and electrocauterization. Chemical cauterization uses chemicals such as silver nitrate or liquid nitrogen to heat or cool the tissue. Electorcauterization heats the affected tissue with a small instrument that produces an electric current. The practice of boring or drilling a hole into the skull to treat brain injuries is called trepanation. One of the oldest forms of surgery, and probably the most gruesome, scientist have discovered trepanned skulls across the globe that date as far back as 7,000 years ago. The practice was used to treat a variety of ailments including brain swelling, mental disorders, epilepsy or to treat head wounds. Skulls that have been found with multiple holes show that many patients lived for years after the surgery. Some estimate the survival rate from 50 to 90 percent. Trepanation is still used today to treat epidural and subdural hematomas, and for surgical access for other neurosurgical procedures. Modern surgeons use the term craniotomy for this procedure. When the removed piece of skull is not replaced, this procedure is called a craniectomy. Inoculation is the introduction of a pathogen to stimulate an individual's immune system causing an immunity to a disease. It's known that the Chinese practiced inoculation for smallpox in the 10th century. An 8th century Indian book contains a chapter on smallpox inoculations and Buddhist monks would drink snake venom to build an immunity to snake bites. Inoculation spread from the Ottoman Empire to Europe and America. One way they may of inoculated a patient was by scratching material from a smallpox pustule into the skin of a healthy person. This generally produced a less severe infection than naturally acquired smallpox, but still built immunity. Maurice Hilleman was the most prolific vaccine inventor, developing vaccines for chickenpox, hepatitis A and B, measles, mumps, meningitis, pneumonia, and haemophilus influenzae. In modern times, the World Health Organization targeted smallpox for eradication, with the last naturally occurring case of smallpox occurring in 1977. The common myth is that the name was derived from the surgical birth of Julius Caesar. This is unlikely since his mother, Aurelia, is reputed to have been alive for her son's invasion of Britain. There are numerous references to cesarean sections in ancient writings from Egypt, Greece, Rome and Ancient China. There are rare references to the operation being performed on living women, but surgery was performed only when the mother was dead or dying, as an attempt to save the baby. Cesarean sections were not intended to preserve the mother's life. In 1794, Dr. Jesse Bennett was the first physician in America to successfully perform a cesarean section on his wife Elizabeth, she lived for 36 more years. In the US today, about one in three births happen by cesarean section, with about 23 million performed globally. The first mention of reconstructive surgery for a broken nose can be found in the Edwin Smith Papyrus, an Ancient Egyptian medical text from 3000 BC to 2500 BC. The most well-known contribution to plastic surgery was the Sushruta Samhita written by the physician Sushruta. Commonly dated to the 6th century BC, the text contains a detailed description on reconstructing a nose. The ancient Greek and Roman physicians performed minor procedures, such as repairing damaged ears and scar removal. Sir Harold Gillies is considered the father of modern plastic surgery. During the First World War, he developed many of the techniques used for modern facial surgery. What's the best way to feel relaxed after a massage? Bring comfortable clothes to change into. If you're coming straight from work in suits and heels, bring along comfortable clothes and shoes to change into after the massage, it's sure to make the relaxed feeling last longer! If there was a motto for massage therapist it would be "Drink more water!" Book Your Massage Appointment Today! In addition to making your face feel clean and renewed, a good facial scrub can prevent breakouts and exfoliate dry skin. Next time you're ready for a facial, try making a scrub or mask at home: you'll save money, and with a little practice you can swap out ingredients and create a unique blend that suits your preferences. Combine all ingredients. Gently rub all face, leave on for a few minutes than wash off with warm water. ​​Combine with enough water to make a thick paste. Leave on for a few minutes than wash off with warm water. ​Whisk egg white, orange juice and turmeric powder together. Leave mask on for 10 to 15 minutes. Wash off with warm water. Mix ingredients together to make a sugary paste. Gently sweep mixture back and forth over lips. Grind oatmeal in blender or food processor. Combine honey, lemon and buttermilk in bowl with ground oatmeal. Mix until it becomes a paste. Use on face and neck for 10-15 minutes. Rinse off with warm water. Mash avocado until it's soft then mix in yogurt, honey, and olive oil until it forms a paste. Use on face and neck for 10-15 minutes. Rinse with warm water. Plantar fasciitis is a chronic inflammation of the "bowstring-like" plantar fascia ligament that stretches underneath the sole. The plantar fascia supports the arch in your foot, acting like a shock-absorber. If tension and stress become too great, small tears can develop in the fascia that become inflamed and irritated. Pain is usually the worst right after awakening with the first few steps, after long periods of standing, or rising from sitting, and worse after exercise. Standing on your feet for a long time. If you have recently started to exercise, increased your workout, or exercise on a different surface. Wearing shoes with poor arch support or poor cushioning. Stop or reduce any activities that may cause your foot to hurt. Avoid walking or running on hard surfaces. ​Write the alphabet with your feet every night. This will increase circulation and strengthen the ankle muscles. Ice your heel at least once a day. You can also use contrast baths, which alternate hot and cold water. Make sure to end with a cold bath. You can also use a heating pad on the low setting. Roll a frozen water bottle under your foot. This can be especially helpful in the morning. You can also freeze and use a golf ball instead. Wear shoes that have the right arch support and heel cushioning for your feet. Your doctor may do a gait analysis to identify problem areas and prescribe orthotic inserts. Wear a splint at night to stretch the plantar fascia ligament and the Achilles tendon. Your physical therapist can instruct you in a series of exercises to stretch the plantar fascia and Achilles tendon and to strengthen lower leg muscles, which stabilize your ankle and heel. Several studies have been done the last few years focused on the proper time to stretch. What they’ve found is pretty amazing and completely opposite of how most of us stretch today. Static stretching before exercise is counter-productive and could be potentially harmful. Think of it like extending a rubber band to its limit. When you stretch to the maximum you are more likely to pull a muscle. When stretching before exercise, your body may think it is being overstretched. To make up for this, your muscles contract and become short and tense. The result is you aren't able to move as freely or as fast. It was discovered that static stretching before exercise has a negative impact on athletic performance regardless of the subject’s age, gender or fitness level. Several studies have found static stretching before playing sports makes you slower and weaker! Once you're done with your work-out, stretch to your hearts content!